Real world networking is a great way to pave your way into a web development job. The most effective way to do networking in the real world is simply to do a good job in your current role. Get things done on time; show respect to your colleagues; introduce new ideas and new technologies at appropriate times; and keep the overall project’s goals in mind as you do your work. This helps generate a friendly and productive atmosphere across your team. Team members steadily become extremely productive reference sources for each other. Networking has developed a bad reputation in many circles as an empty exercise of people who barely know each other rushing to exchange business cards and pushing each other for contacts and job recommendations. Don’t do this. Do make ongoing efforts to stay connected to, and on a positive basis with, people with whom you work closely or who do similar work to you, within your company and outside it. 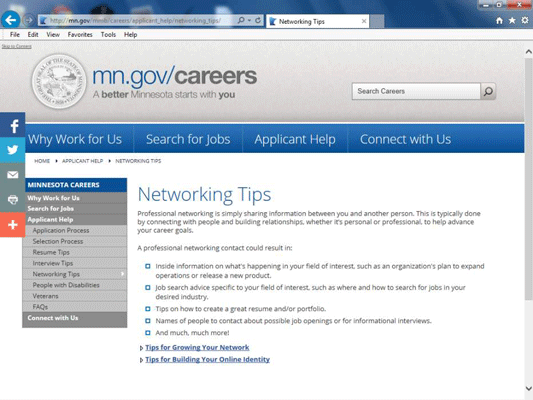 Check out these networking tips from the state of Minnesota. They’re good, top-level tips. There are additional steps you can take for networking. Think of it as reaching out to wider circles of people. People with a technical mindset tend to assume that you have to know someone well to be an effective networking contact for them. But studies show that looser connections can be even more effective in job searches. Definitely strive to make strong connections with your core project colleagues, but remember that it’s also worth the extra effort to reach out to — and make a good impression on — more distant connections. Effective networking begins in your current job, and at your current company. The core effort that makes networking work doesn’t fall under the traditional definition of networking at all. It’s just doing a great job in your current role. The next step, though, does start to move into the definition of networking: finding ways to let people know that the good work is happening. 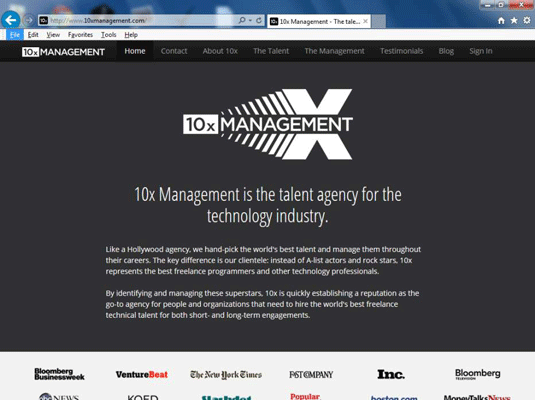 Casual mentions by you, followed, hopefully, by positive comments from coworkers or your manager, can accomplish this. Say hello: Learn to say hello to people on a casual basis. This can do a lot to make the workplace more comfortable. Ask others about their work: Ask other people what they do and what problems they’re facing. This can give you opportunities to help and can inspire others to ask you the same in return. Speak up in meetings: Make helpful comments and share your opinion in meetings. Use internal and customer service bulletin boards: More and more companies have internal bulletin boards for employees to network on as well as customer-facing bulletin boards for solving customer problems. Contribute on these platforms. Join non-job-related company groups: Most companies have voluntary teams for pursuing broad goals and for skill-building, including a “green team” to pursue sustainability-related goals or an internal Toastmasters club to share efforts to learn public speaking. These are great networking venues. Get mentors: A mentor is a senior person who takes an interest in your career and gives you inside tips and other advice. As a web development person, consider having two mentors: one technical, for helping you build up your skills, and one organizational, for helping you look for new jobs or a promotion in your current company. Your in-company networking is key to all your networking efforts. People outside your company will view people in your company as credible sources about you. People inside your company, but not on your work team, view people on your work team as credible sources about you. So build your network, and your credibility, from the inside out. The traditional view of networking is a sad effort where people meet at a semi-social event and try to use that connection to get each other to employ their networks to get themselves a new job. And this can seem most desperate outside your company, where you are likely to not already know very many people. When networking outside your company, take a low-key approach. Don’t appear desperate by trying too hard. Create an elevator pitch; your name, job title, and a couple of well-known people whom you work with. Also mention the key technologies you use. Then use it. Look for people with whom you can follow up due to shared job or technical interests. Then connect with them through a brief email and on LinkedIn. Educational settings are great opportunities for networking, with fellow students and instructors as well. Do use your elevator pitch when needed, but also take the opportunity to go deeper. The long and in-depth conversations you can arrange to have, such as before or after class over coffee, can form relationships that help you, and your new friends, throughout your careers. And start building bonds with career services people; these can be helpful well beyond your first job out of college. Be active in alumni groups too. Alumni groups offer the kinds of broad connections that can be extremely helpful in finding new opportunities. Meetup.com groups, code-a-thons, and mentoring for young people are additional opportunities for mentoring, and also offer the chance to make new friendships that are personally as well as professionally meaningful to boot.